Yellow rice is one of my favourite things. 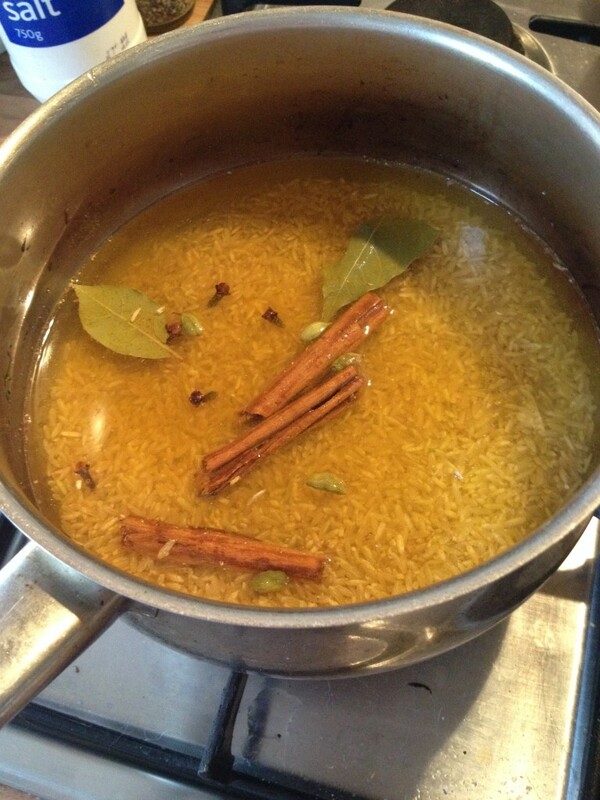 It’s flavoursome and adds a little extra to a curry. 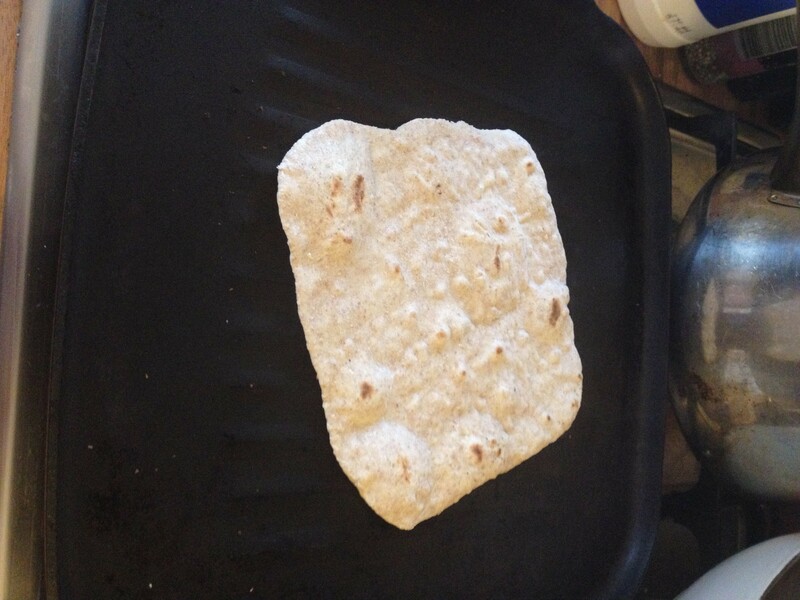 I had some last night with a healthier take on korma and some homemade chapatis. Mix the greek yoghurt, garlic and lemon juice in a bowl then stir in the turkey and leave to marinate for 30 minutes or as long as you have. 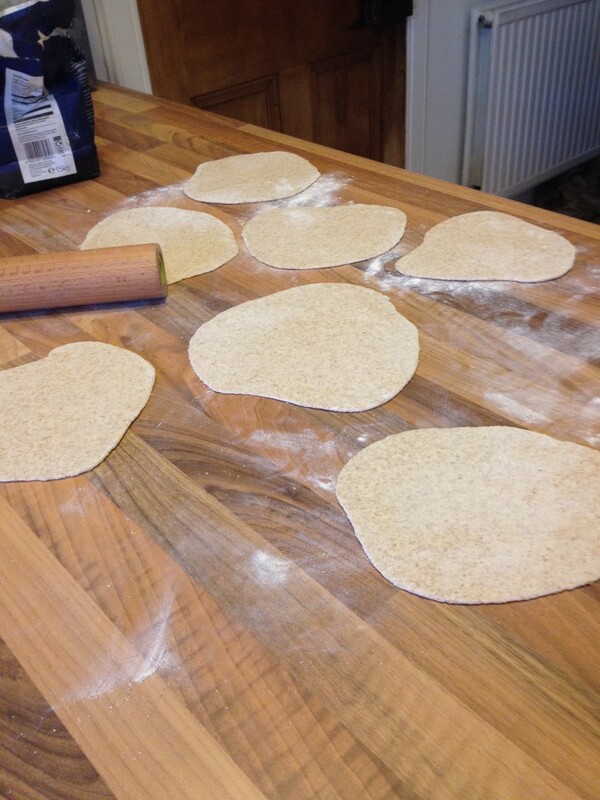 Meanwhile, pop the flour for the chapatis in a large bowl and add a pinch of salt. Add the water a bit at a time, combining with your hand until it forms a dough (you may not need all the water). Flour a clean surface and knead the dough for a couple of minutes, adding more flour if its gets really sticky. The longer you knead it the softer it will become. 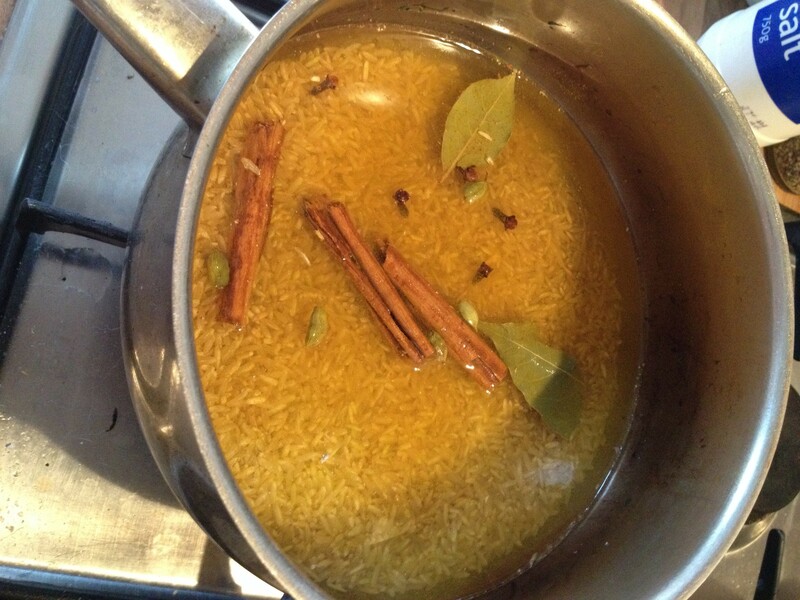 Leave to rest until your curry almost ready. Sweat the onions in a little olive oil until soft then add the spice mix and cook for 30 seconds more. Add in the turkey and yoghurt marinade and the vegetables and stir fry for 5 minutes. 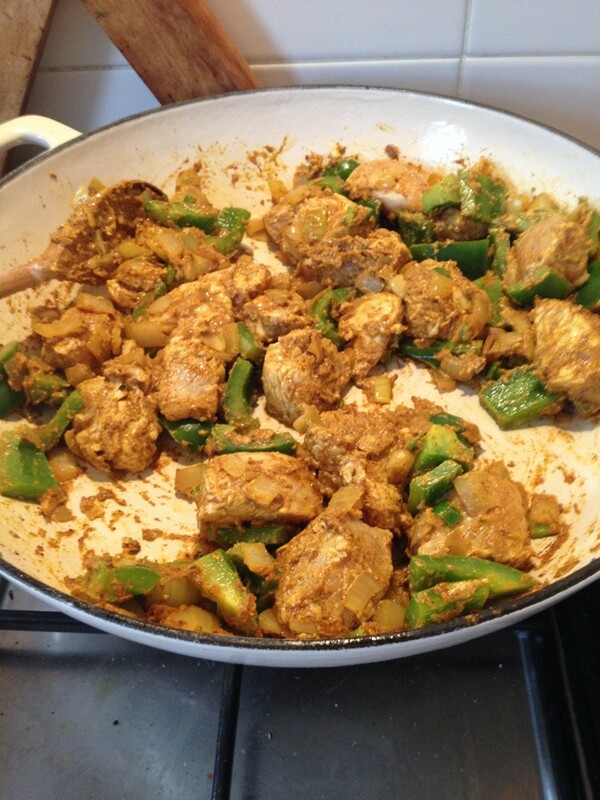 Add the coconut milk and ground almonds, bring to the boil and simmer for 20-25 minutes. For the rice, rinse your basmati and place in a pan with a tide-fitting lid. Add the spices and stir through. Cover with 2 and a bit cups of water (always use the same amount of water to rice plus a tiny bit extra water). Bring to a boil for 2 minutes, put the lid on and turn the heat down to as low as it will go and leave to cook until all the water has been absorbed – 12 or so minutes. 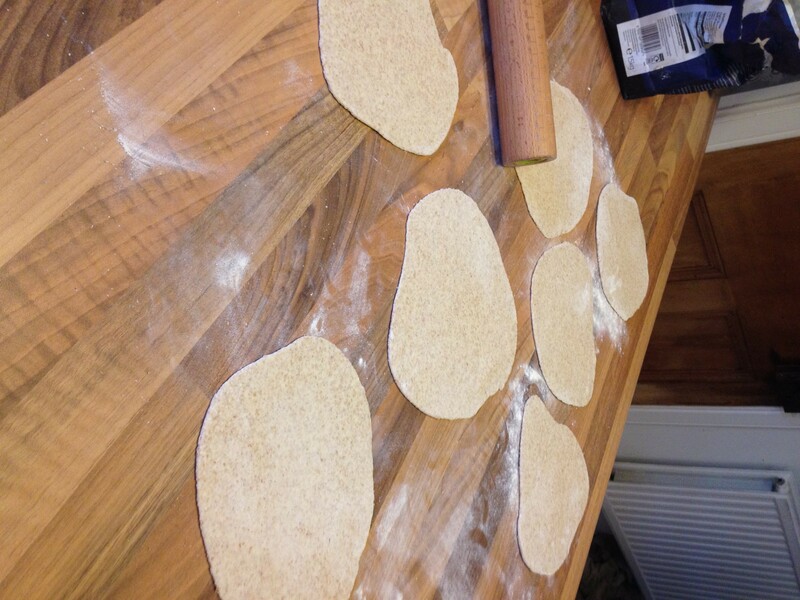 Divide the chapati dough into 8 pieces, roll into balls then roll out on a floured surface to around 15cm diameter. Cook them one at a time on a dry hot griddle pan or frying pan for a minute or so each side. 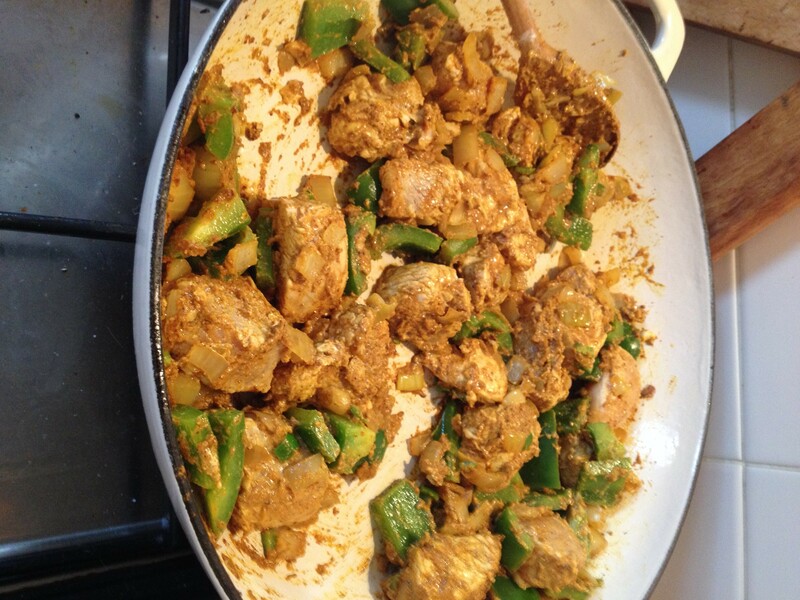 Doll out the rice (remove the spices), spoon on the curry and mop up with the warm chapatis. Yum. 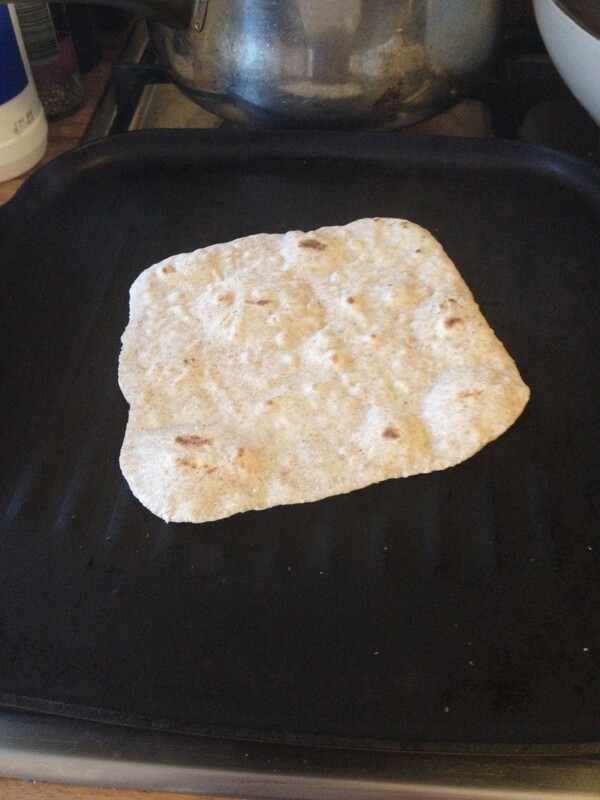 Posted in Healthy eating, Recipes and tagged chapati, curry, food, greek yoghurt, korma, nutrition, rice.